HB Roswell Realty prides itself on having agents and staff that can make the real estate world a better place for all its customers. Thank you for visiting my profile. 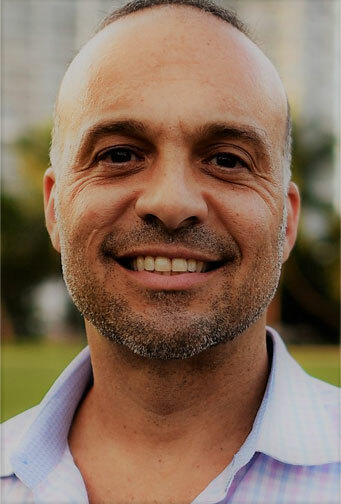 My name is Sep Niakan, Managing Broker of HB Roswell Realty a real estate sales top producer in the Miami area for the past 10 years. I take satisfaction in being an informational resource to help you make the right decisions and negotiate the best outcomes when it comes to real estate. Having been published in the Miami Herald, Inman, MarketWatch by Dow Jones, Inc, and many other regional and national publications proves that I have an obsession with knowing where the market is and where it is going. I have built my business based on long-term relationships, not individual transactions. If a trusted relationship is what you are looking for when buying or selling your home, please give me a ring and let's talk. On a more personal note, I am recently married and have a beautiful baby boy, a dog older than anyone's great grandmother and life filled with lots of family and friends that I cherish. When I am not working, my only regular hobby is spending time with my family and close friends. I occasionally need to get away for a few days to clear my mind, and my favorite destinations are places where neither the people nor the landscapes remind me of home, so that it can feel I am getting a true "reboot". And if you happen to still be reading and want to know more......I have also been part of a number of local real estate boards, including Miami Realtor Association's Residential Board of Governors and National Association of Hispanic Real Estate Professionals South Florida Chapter. I also founded CondoBlackBook.com, the leading Miami Condo informational resource. Before becoming a Real Estate Professional, I worked for 27 years in a supervisory capacity in a service-oriented and research institution. The skills I learned during those years have helped me in my successful Real Estate career. My 20-year experience in Real Estate and my 50 years living in the Miami Area give me a great understanding of the Real Estate Market in South Florida. I have been an active South Florida Real Estate Agentt for the past 10 years specializing in residential sales, purchases & rentals, investment property business, residential property management as well as commercial real estate for sale or lease. With a professional demeanor and courteous business etiquette, I use a common ground approach to reach a win-win situation to deliver results. I'm fluent in English, Portuguese and Spanish with a deep understanding of US and Latin American business culture. Aside from my passion with my Real Estate business, I enjoy an active healthy lifestyle with my family & friends and American Bulldog, Capone. Cassandra Ramos is a South Florida native, born and raised in our beautiful city of Miami. She joined HB Roswell Realty in 2012. She is an enthusiastic and innovative professional who came to us with experience as a senior-level manager in event management, administrative, and human resources and has worked for firms such as VeriFone, Hewlett-Packard and Miami Air Int’l. She is passionate about event planning and will tap into her knowledge of event planning to develop, coordinate and manage meetings, trainings, and team building events. Cassandra oversees all the day to day office operations which include but not limited to all administrative, clerical and financial duties. She enjoys working for HB Roswell Realty not only because of its top-notch reputation, but also because she feels that the people she works with are more like family members than like co-workers. She also loves HB Roswell’s consistent innovation and its commitment to its core values. Cassandra is fluent in English, Spanish and Portuguese. She is a full-time mother of 2, Sophia and Mateo. Her highschool sweetheart and husband of 14 years. Hector is currently an active member of the U.S. Army. I arrived in Miami as an intern to develop the Marketing department at HB Roswell Realty and it has just been an amazing experience since then. Born and raised in Guadeloupe (overseas french department) in the the West Indies, I have a Master degree in Management, Major in Marketing, from a prestigious French business school. I love travelling and as part of my education, I had the opportunity to spent some quality times in different countries from Taiwan to the United States. My favorite hobbies are soccer and sports that give me sensation. I am practising windsurfing, Obey Cat 16, kayaking, mountain biking and snowboarding. My last stop brought me here in Miami and since then I have been hired as an marketing assisant. With over 5 years of residential real estate experience in Manhattan and Miami, Shelley Liao is licensed to practice in both Florida and New York. Born in Taiwan, Shelley grew up in New Jersey and graduated from Rutgers University. She is a resident of Midtown Miami and has an insider's view of market trends and new development projects in the Design District, Edgewater, Downtown Miami, Brickell and Miami Beach. 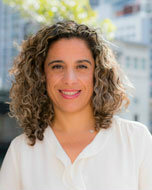 She is also experienced with condominiums and single family homes across the greater Miami area. Whether she is working with an investor, first or fifth-time home buyer, Shelley leaves no stone unturned in helping her clients get the best deal possible. She prides herself on delivering excellent customer service and keeping her clients well informed through every step of the buying, selling or renting process. Her number one goal is to provide her customers with a real estate experience that makes them clients for life. Shelley speaks English and Mandarin, and in her spare time enjoys biking, scuba diving and traveling just about anywhere in the world. Don't hesitate to reach out to her for any of your real estate needs! Originally from Mexico, Katia is now well known and beloved in the Edgewater and Wynwood communities of Miami. She first gained notoriety as a master baker before she transitioned to real estate. Katia stands out as a real estate agent because to her, clients aren't simply customers. They are neighbors and friends. And she is passionate about guiding her clients through the process of buying and selling their properties. Currently, Katia and her loving family live, work and enjoy perfect weather in Miami. Her two sons are soccer fanatics, so much so that her family also owns the local indoor soccer venue Wynwood Soccer. As a native, Heidi has seen firsthand how the area has transformed over the years and is familiar with all the ins and outs of the Miami real estate market. As a school teacher in her life before real estate, she brings the patience, understanding and diligence that is needed to service clients well. Having worked in both public and private schools, Heidi also serves as an extremely knowledgeable “insider” of Miami’s school systems for parents looking to find the best place to settle down with their children. Heidi's dedication and positive attitude keep her clients coming back for all their real estate needs. She asks insightful questions and listens carefully to your goals to help you plan the right approach. Additionally, her service doesn't stop after contracts and closings. 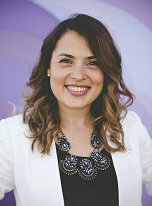 She is committed to making lasting relationships with both current and future clients. Born and raised on Miami Beach, she now calls Brickell home. Heidi loves spending time with close friends and family and is an avid fan of cardio boxing. 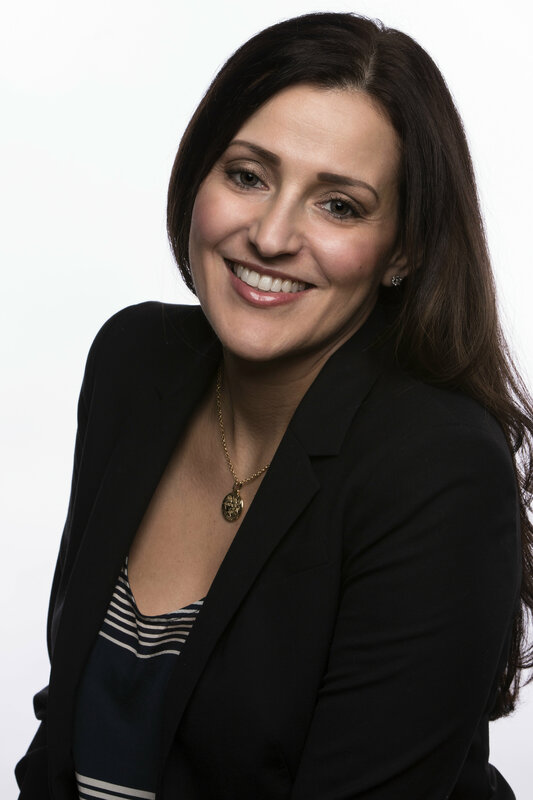 Ivona holds a degree in business administration and began her career as a financial analyst. 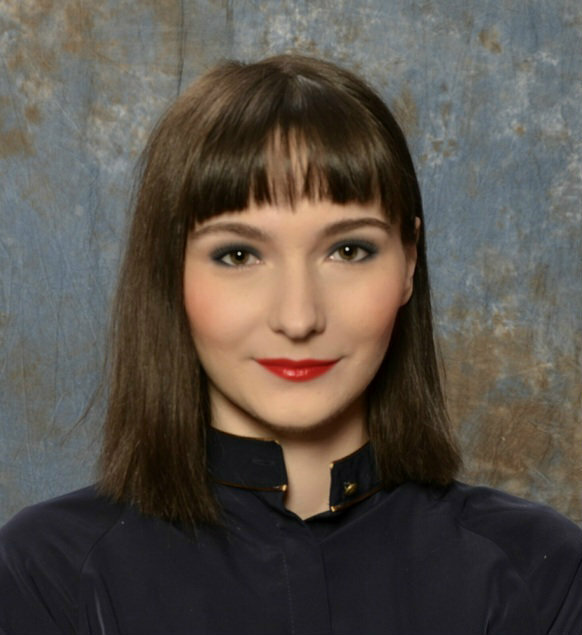 During her time as a research analyst in New York, Ivona interacted with C-level executives, developing acute relationship and time management skills. People always find Ivona to be a great listener and easy to work with. Hard-working, organized and reliable, she makes it her mission to deliver excellence and stay on top of deadlines. That’s what makes her such a vital part of the HB Roswell Realty team as an amazing executive assistant and transaction coordinator. In her spare time, Ivona loves indulging in her passion for films and keeping up with international politics. She also loves fashion and strives to stay on top of trends (that is where she gets her keen attention to detail). A meticulous individual, Ivona values family as much as her independence. Four words you can count on from Ivona - persevering, dependable, punctual and dedicated. For Hillary Quinn real estate is not just another job, it’s a way of forming lasting relationships. No wonder most of her valued clients are now great friends and share irreplaceable memories. A constant learner, she loves to evolve and succeed by inspiring her clients with acute knowledge of the market and keen attention to personal detail. If you are looking for an enjoyable and seamless experience with a realtor, Hillary will be more than happy to guide you in your search or selling plans. Hillary Quinn is a Miami transplant from New York City. Proud to call Miami Beach home, she now can’t imagine a better place to live, work and enjoy. A Pace University Graduate in Biology and Environmental Studies, Hillary was also an NCAA athlete. Applying her extensive background in High Touch Luxury Sales & Marketing from NYC, she ultimately found her niche in real estate. Ask what’s her favorite part about being a realtor? “Producing that one-of-a-kind find for my clients”, she says. Devoted to creating the ultimate buyer experience, Hillary takes pride in her vast and varied client base spread across Miami and New York City. Whether your home is your sanctuary or doubles as a workplace, Hillary will take the time to find the most comfortable and inspiring fit for you and your lifestyle. Firmly believing that a home should be the key to happiness, she works diligently to make the entire process as smooth as possible. A passionate Equestrian, you will find her on the farm with her animals in her spare time. Hillary trains and helps Hunters/Jumpers in Florida compete. Combining both her passions, she also specializes in buying/selling Equine properties, whether seasonal or year-round. 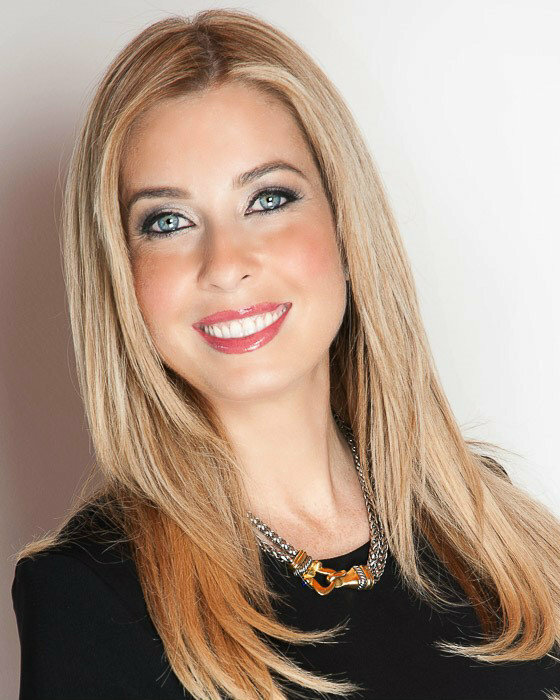 Maria is an MBA holder (with an emphasis on entrepreneurship) from the Florida Atlantic University. A high-energy individual, Maria holds extensive sales experience in a variety of disciplines - real estate being the latest. Born and raised in Colombia, Maria changed more than eight addresses since she moved to South Florida in 2005. This frequent moving around laid the foundation for her transition into real estate while giving her the unique opportunity to explore each and every neighborhood at leisure. Buying and selling her own properties motivated Maria to make a career out of it and acquire her real estate license. Being the client herself, she could identify the key areas of difficulty - trust, urgency, and delivery. Now on the other side of the fence, Maria makes these her strengths when dealing with her clients. Also having experienced most neighborhoods first hand, Maria is an expert at locating the perfect place to live or invest in South Florida. When not at work, you can find her empowering the Mom community of entrepreneurs in South Florida. Founder of the Miami Mom Tribe, Maria encourages these “mompreneurs” to pursue their goals and follow their dreams. In her personal time, she enjoys spending time with her husband and one-year-old daughter, discovering hip new places in Miami, doing street photography, diving, hiking, running and spending time with nature. Jessica graduated from Suffolk University with a Degree in International Relations and Economics. After marketing small businesses in Boston, her passion for connecting with people brought her to Miami and into real estate. A positive and outgoing person, clients often describe her as a good listener, highly relatable and an easy going professional. Born and raised in New England, Jessica inherited some key traits of being fast-paced, competitive and detail-oriented from the city. Today, she applies those traits to her real estate dealings and is a firm believer in the fact that detail and diligence breed success. Her experience of having lived in South Beach, Brickell and Edgewater has always come in handy when helping clients, with plenty of success stories behind her. A true Miami Beach native, Stephanie was inspired at the tender age of 16 to become involved in the transformation of the city. Her ability to get along with everyone and instantly put people at ease made her a perfect fit for real estate. Starting as an assistant to a number of top-line producers of the time, she obtained her license at 19 years old. And, there’s been no looking back ever since. Stephanie continued working for some of the top real estate minds of the city and gained experience working with affluent clients. This led her to finally begin selling real estate independently in the early 2000s. Since then, her exclusive focus has been luxury waterfront properties, and she has participated in the sale of over $350,000,000 in sales. A feat that has helped many discerning clients find their picture-perfect property on the water. Stephanie is often described as an open, easy going and genuine person. Being a perfectionist, she loves being organized and well-prepared. This comes in handy for her clients, as she not only brings a sense of structure to their entire experience but also helps put things into perspective for others, giving them the clarity they need to make good decisions. Besides striving to excel at everything she does, Stephanie loves exercising and a good cup of coffee. She’s a dedicated mom of two and wife of one who really takes enjoyment in spending time with them. Not many know that this perfectionist has ninja-fast reflexes and also packs a mean punch. So spar with her at your own risk. Amy Palma is an ex-TV news producer and motivated mom of two, who brings the best of her creative problem-solving and motherly skills to real estate. Known as a dedicated realtor, she is an excellent listener, is fluent in English and Spanish, and enjoys hand-holding her clients through their house-hunting journey. Having chased many news stories back in the day, Amy had the unique opportunity of stumbling upon hidden, magical neighborhoods throughout Miami-Dade and Broward. Today, this helps her instinctively match her clients’ needs and swiftly deliver them to the place of their dreams. Amy’s journey into the world of real estate started at the age of 26 when she bought her first condo in South Beach at just 5% down. Her home buying success had many of her friends and co-workers approaching her for help, which made her realize her passion for the craft. Fast forward through some more personal purchases, flipping homes and 15+ years of being a landlord, and she just had to become a full-time realtor. A cancer scare at the age of 31 further taught her some valuable lessons in wisdom and peace, which she happily shares with her clients today. On the personal front, Amy loves taking care of her two children, who are also her biggest motivation to work. When not dedicating time to real estate or her children, one can find Amy volunteering at animal shelters, making jewelry, gardening, traveling, contemplating by the beach, or simply trying to make the world a better place. Being drawn to Miami’s amazing architecture, people and lifestyle, Vera began her real estate journey in 2014. She quickly gathered expertise on South Florida’s residential market and enjoys finding creative ways to assist her clients with renting and purchasing. She is often described as an attentive and dedicated professional and holds dear her family values of discipline, punctuality, and respect for others. Vera’s major inspiration comes from the happy smiles and faces of her clients, whom she doesn’t mind hand-holding right from figuring out their dream home to living in one. A graduate in Business Administration and Paralegal Studies, this native-born Russian moved to Miami with her parents and two Siberian Huskies at the age of 17. Her roots give her the added advantage of quickly building a rapport with people from her country and those who speak her first language. Her background in managing luxury brand stores and retail also gives her a knack for dealing with high-end clientele. When Vera isn’t busy showing gorgeous houses around Miami, she loves to travel with her fiancé, exploring new cities, cultures, and cuisines. She also plays the violin, enjoys fishing and loves outdoor activities. Don’t be surprised if you find her singing karaoke in her car on the way to a showing, but that’s all the singing you can expect from this motivated woman.